Early Summer Nature in New Jersey. Some images that I took on a walkabout this morning in the Sourland Mountain Preserve. This was a test to see what I could photograph with a 500 mm f/4 lens on a monopod. The minimum focus distance for the lens is 12.6 feet (4 m) which is a challenge for close up images of insects. 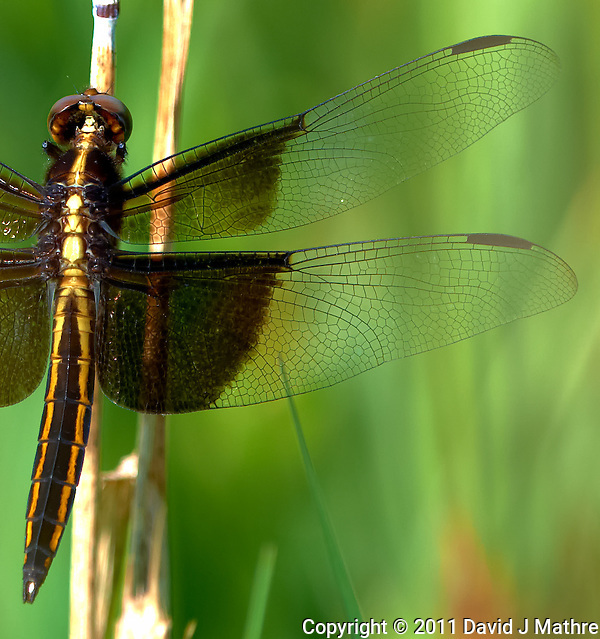 The first image is a close-up of a Dragonfly. The second is what I believe is a Blue Grosbeak. 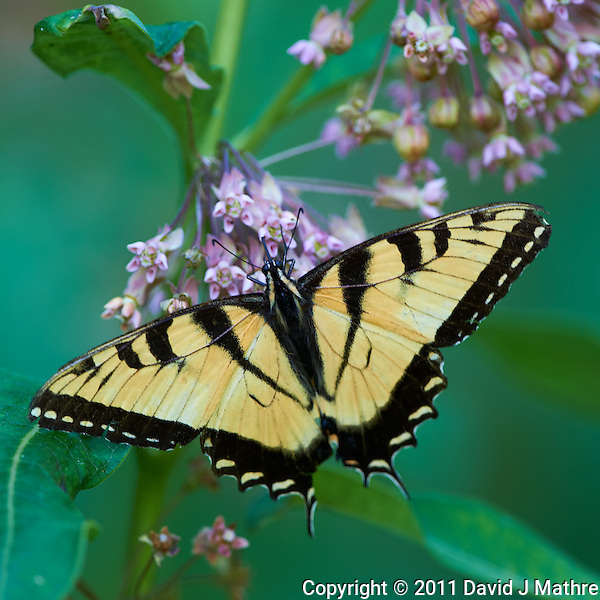 The third is a Yellow Swallowtail Butterfly on Milkweed flowers. The fourth and fifth images are Snowberry Clearwing Moths (Thanks to Rick Sidler for the ID and link). It is larger (longer) than a Bumblebee, but its wings are small and transparent. It also was working the Milkweed flowers. 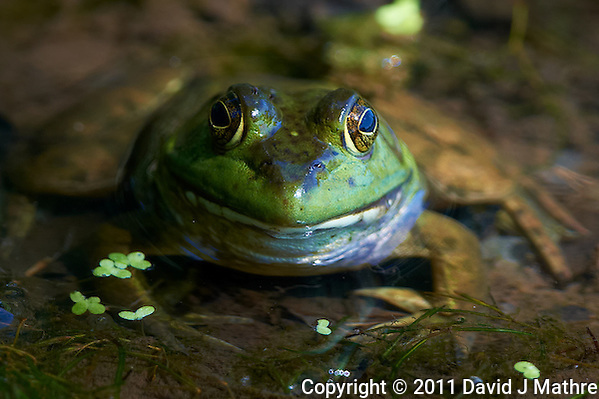 The sixth image is Kermit the Bullfrog. Dragonfly at the Sourland Mountain Reserve. Image taken with a Nikon D3x and 500 mm f/4 VR lens (ISO 100, 500 mm, f/4, 1/500 sec). Raw image processed with Capture One Pro, Focus Magic, Nik Define, and Photoshop CS5. 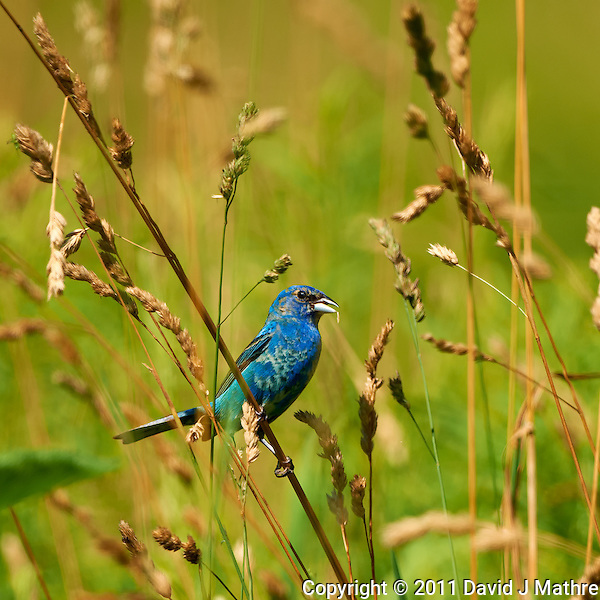 Blue Grosbeak? at the Sourland Mountain Reserve. Image taken with a Nikon D3x and 500 mm f/4 VR lens (ISO 100, 500 mm, f/4, 1/100 sec). Raw image processed with Capture One Pro, Focus Magic, Nik Define, and Photoshop CS5. Yellow Swallowtail Butterfly at the Sourland Mountain Reserve. Image taken with a Nikon D3x and 500 mm f/4 VR lens (ISO 100, 500 mm, f/4, 1/100 sec). Raw image processed with Capture One Pro, Focus Magic, Nik Define, and Photoshop CS5. 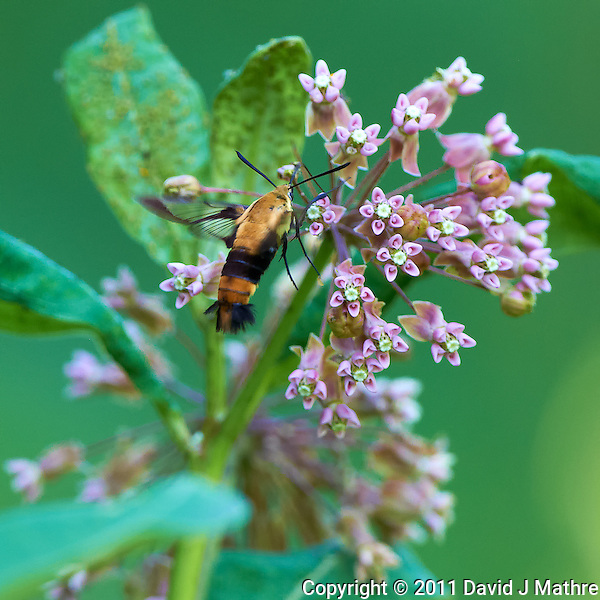 Snowberry Clearwing Moth at the Sourland Mountain Reserve. Image taken with a Nikon D3x and 500 mm f/4 VR lens (ISO 400, 500 mm, f/4, 1/400 sec). Raw image processed with Capture One Pro, Focus Magic, Nik Define, and Photoshop CS5. 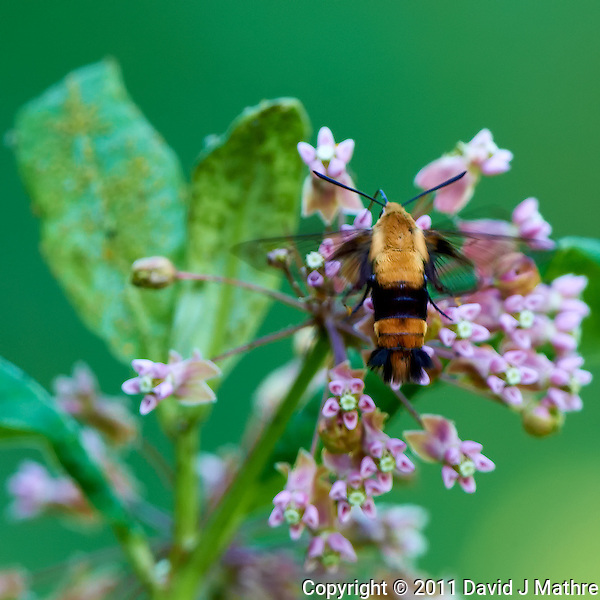 Snowberry Clearwing Moth at the Sourland Mountain Reserve. Image taken with a Nikon D3x and 500 mm f/4 VR lens (ISO 200, 500 mm, f/4, 1/160 sec). Raw image processed with Capture One Pro, Focus Magic, Nik Define, and Photoshop CS5. Kermit the Bullfrog at the Sourland Mountain Reserve. Image taken with a Nikon D3x and 500 mm f/4 VR lens (ISO 400, 500 mm, f/4, 1/400 sec). Raw image processed with Capture One Pro, Focus Magic, Nik Define, and Photoshop CS5. I really admire your photo-motivation. It seems like you are out there every day finding cool stuff to shoot. Kermit is awesome. Your raw process seems very complicated. Do you use LR3 at all? Just for cataloguing? Focus Magic and Nik Define bring out the sharpness? Clearly you think they are worth the cost and time–do you ever do a before/after test? That would be interesting. Also– a monopod, a 500, at 1/100 sec and a not-dead butterfly is a pretty impressive combination. You must not drink coffee before you shoot.. Yes, my workflow is complicated. None of the tools are perfect, and I constantly am trying out new tools. Previously, I only used Capture NX2 for Raw processing, but since ANPAT9 in Alaska moved to Capture One Pro. I found C1P to give me much more control, and works with Raw images from any camera body that I use (not just Nikon). I continue to wait for Capture NX3 to see if they come out with a 64 bit version, and fix the frustrating memory leaks in CNX2. The down side for C1P is that it doesn’t have the plug-ins available in CNX2 or Photoshop CS3. Once I am done in C1P, I convert the image to a TIFF and open in CS3. This is where I use Focus Magic, various NIK tools (Color Efex, Silver Efex, etc), Topaz tools — and then convert to JPG using the “save for Web” option. Focus Magic is for sharpening. It uses a deconvolution algorithm rather than a USM approach for image sharpening. The program is a bit old (only 32 bit), but in my opinion does a better job than some of the other tools I have tried. I effectively counteracts the the AA filter on the sensor. Ultimately, as processing power increases and some of the algorithms used to sharpen spy satellite images become available the tools to fix out of focus images the tools will get even better. Nik Define 2 is for noise reduction. I also use Topaz DeNoise 5 which is even more powerful (and appears to use some scene recognition in how much noise reduction is applied to different parts of the image). I do use LR3, mainly as my catalog. For some reason, I don’t like the Adobe Raw processor — so don’t use LR3 much for image processing. LR3 is good as a catalog, but I really want something with a more powerful relational database engine. I currently have over 300K Raw images in my catalogs (and backups in 2 locations). I do compare before/after images, especially when testing new tools. In a few cases I have posted these for comparison — although the real test is the prints. Online comparisons are not that good, especially when limited to a 600 pixel width and sRGB color space.